If your computer isn't connected to the internet or both Online and Website Activation have failed for some reason, you should use Manual Activation. 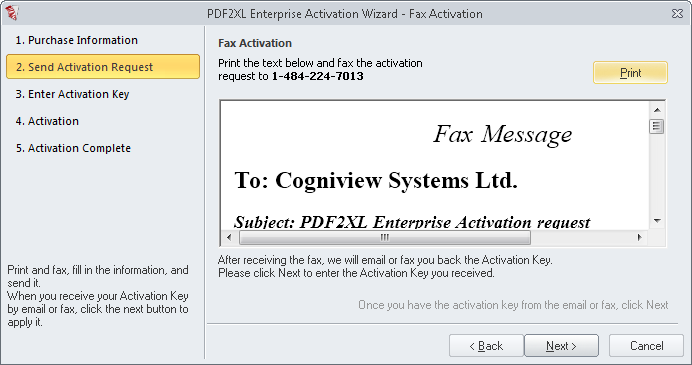 In this method, PDF2XL supplies you with a text to email, or a page to fax, containing all details necessary for the activation. 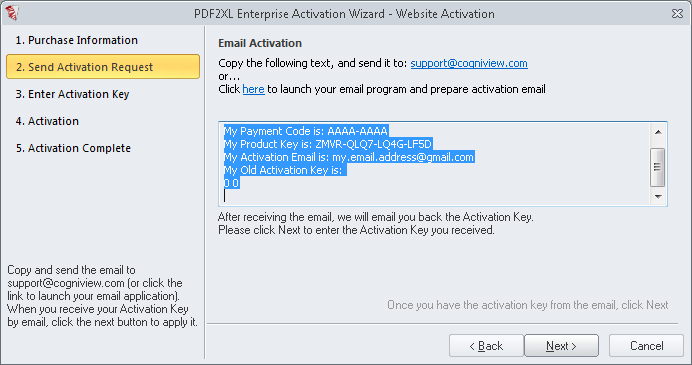 Once our support team receives your email or fax, they will send you back an activation code that you can use to activate your copy of PDF2XL. If you chose Fax Activation, this window will be opened. Simply press Print to print the page, then fax it to 1-484-224-7013. Pressing Next will bring you to the following screen where you can enter the activation code you've received. 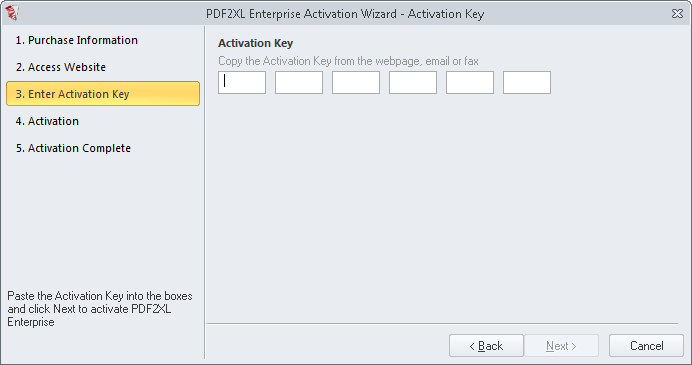 However, you don't have to keep PDF2XL running until you receive a reply, and can instead close the program and next time select the I Have An Activation Key option from the activation menu.